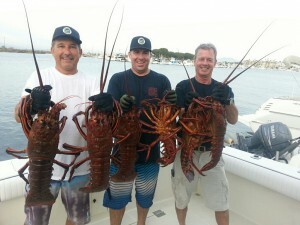 Neptunes Robert, Mike & Bill scored this past weekend with some mighty fine large lobsters. These hunters do not waste any part of a Lobster. They eat the carapace meat as well as the tail. Never throw away the “head” of a fresh Lobster, it can be more work but worth all the effort with more flavor in the head than tail & the legs taste like crab legs! Epic catch guys, Robert was great talking to you in the shop.